Set-up with fields for real estate professionals or property manager. 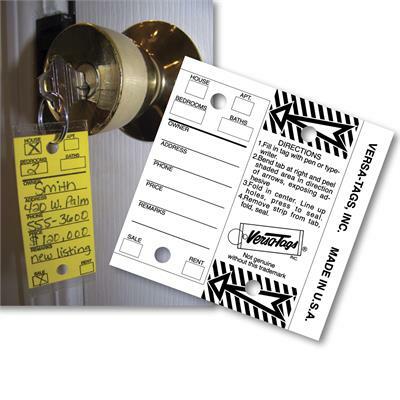 Packaged 250 tags per box, key rings are included. 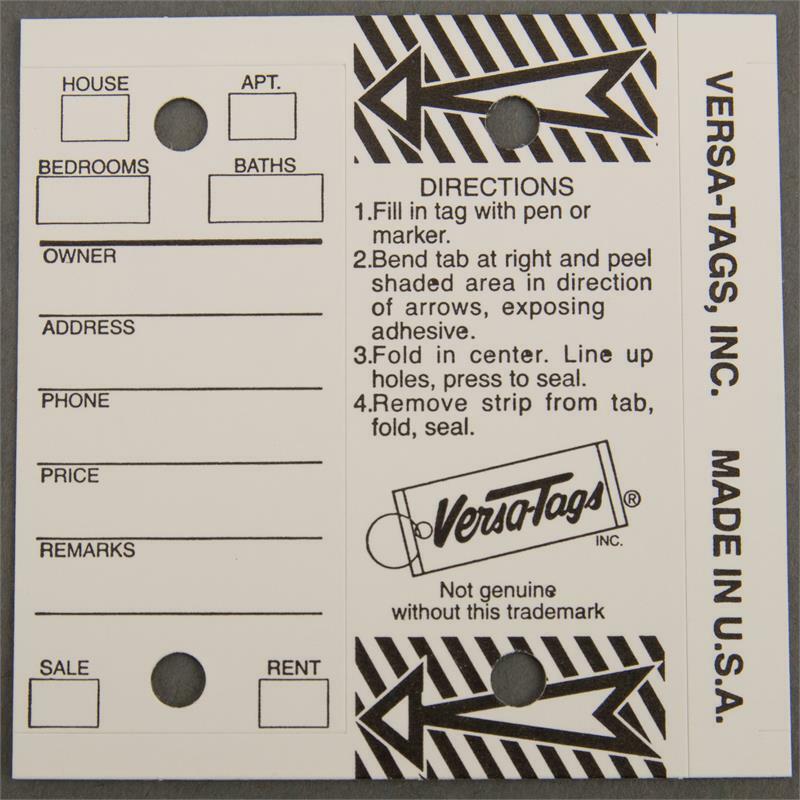 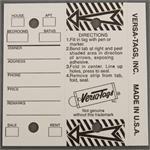 Tag Size: 3" x 3"
Folded - 1.25" x 3"